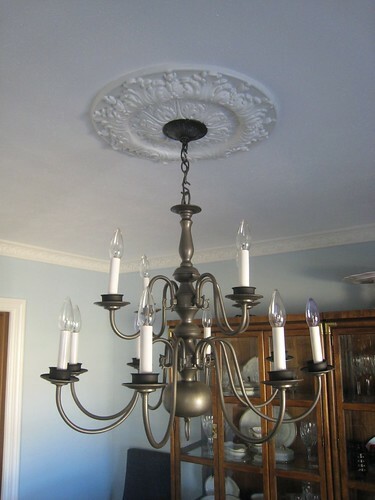 This is a chandelier I bought on craigslist for $15. Fabulous, right? Spray Paint Trigger, originally uploaded by espeedy123. 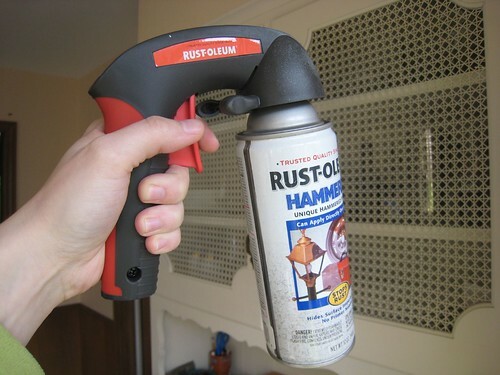 It’s a Rust-Oleum spray paint trigger device. My mom knows how much I like to spray paint! It works really well and makes painting much easier and more fun. The process feels more professional too, like you have a huge professional spray paint machine behind you. 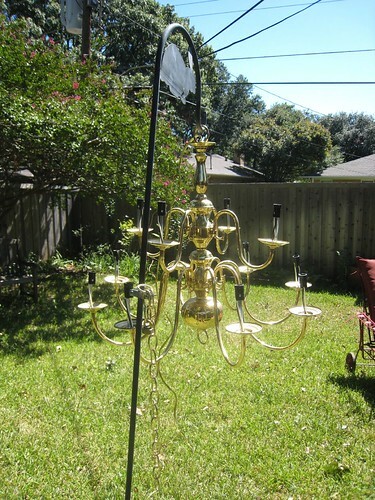 I then followed with a combination of bronze and gold “hammered” spray paints by Rust-Oleum. They are nice because they aren’t so flat. I also painted the little metal parts that go around the candlesticks flat black, just to mix it up. 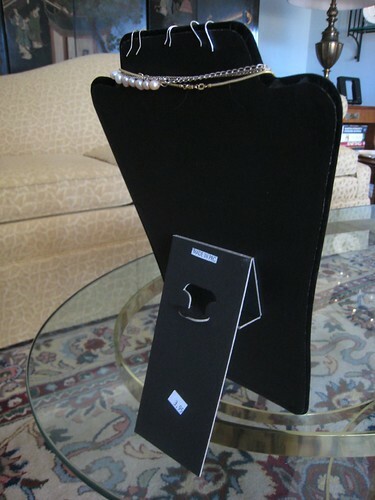 Sam Moon jewelry display bust, originally uploaded by espeedy123. Happy New Year everybody! What better way to start 2009 than by getting organized? I wrote a fun story about organizing that ran in today’s Dallas Morning News. I asked 6 experts to share how they would best spend $100 or less on organizing. The idea came to me after watching Oprah’s “Clean Up Your Messy House” series. I thought her guests, especially professional organizer Peter Walsh, were really great. But who has the kind of money it takes to Elfa-out your closet like they do on the show?!?!? I went to the Container Store to find out how they would reorganize my 5-by-5 foot closet, and the most basic product package totaled over $1,200. 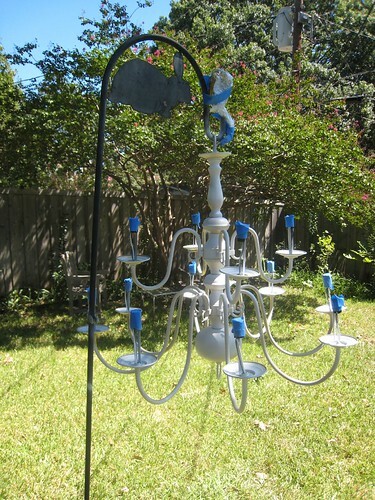 So anyways, that’s when I started thinking budget ideas for the piece. I actually interviewed Peter Walsh on the phone, and he is as genuine, friendly and funny as he is on TV. His message was the most compelling — that in order to become organized it takes respecting what you own and letting go of what you don’t need. He was quite clear that it has nothing to do with buying boxes and shelves. It’s unfortunate that his part of the story got bumped to the bottom of the piece. Of the other tips I thought professional stylist Gretchen Ratkovic had really great information. 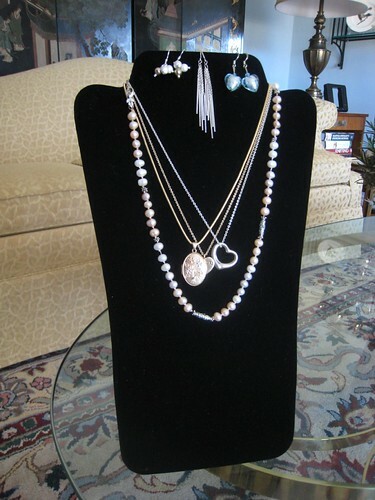 She likes mannequin display pieces for jewelry and accessories, like the one above from Sam Moon. It costs $3.95. She suggests adding a secondary hanging bar if you can, and also hanging things on wardrobe hangers, which allow for multiple pieces on a single hanger unit.